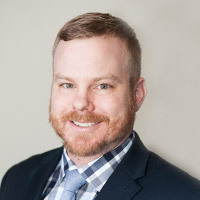 Aaron Bielawski is a licensed agent with Cyganiak Planning, Inc., beginning his career in the fall of 2008, Aaron has since been partnered with over forty small groups, working as a consultant on medical, dental, disability, life and supplemental insurance products. Aaron places high value on ingenuity, an ability to not only create, but also effectively implement creative strategy, and follow through with superior communication to all parties from ownership and H.R., down to the employee level. A focus on innovative cost containment strategy and what is considered a “Full Benefits H.R.” for small companies are the backbone of what Aaron Bielawski and Cyganiak Planning, Inc. are capable of bringing to your companies benefit portfolio. Consistently provide accurate professional advice and service to clients relative to the various products we represent. Provide a friendly, professional, and positive environment while training, guiding, and motivating our associates to develop a high level of competency and concern when dealing with our clients. Grow as a sales organization by adapting to change and maintaining a high level of expertise while conducting business in an honorable, trustworthy manner. Maintain a leadership position in Wisconsin within the insurance industry. 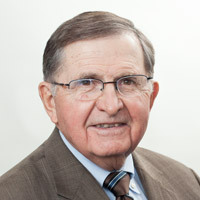 Jon A. Cyganiak has been President of Cyganiak Planning since its founding in 1973. As a Wisconsin native, Jon grew up in Milwaukee, graduated from Notre Dame High School in Milwaukee and furthered his education at Marquette University, where he graduated in 1961. He entered into the insurance industry in 1964 as an agent for a prominent eastern life insurance company. He put together an outstanding sales, service, and management record with this firm. 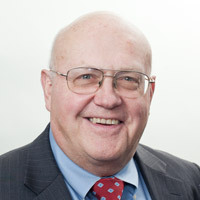 He has been the recipient of honorary awards for management, past member of the prestigious Million Dollar Round Table, a member of the National Association of Health Underwriters, National Association of Insurance and Financial Advisors, Financial Planning Association, and American Society of Charter Life Underwriters. In 1977, Jon was elected President of Milwaukee Chapter of American Society of Charter Life Underwriters. A lifelong resident of Milwaukee, Jon resides in Mequon with his wife, Liz. Liz and Jon have four children and seven grandchildren. 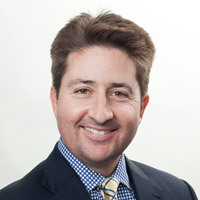 Jon I. Cyganiak is Vice President/Agent providing innovative employee benefits solutions for small to midsize employers ranging from 2-500 employee size. A licensed health and life insurance agent for over 25 years, Jon began working at Cyganiak Planning as a Customer Service Representative in 1992. In 1996 Jon was promoted to Agent, and in 2008 was promoted to Vice President. In addition to providing creative employee benefit plans, Jon works with customers on qualified and non-qualified retirement planning, wealth protection management, and estate planning strategies. He strives to provide the highest level of service by helping his clients identify and prioritize their goals, offering strategic guidance specific to their needs and implements strategies that work best for them. 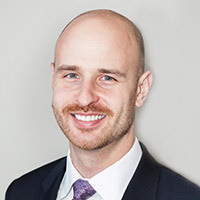 His mission is to educate clients of a wide variety of employee benefit and financial subjects and help his clients make informed decisions that are in their best interest. Jon received his Bachelor’s Degree from Marquette University in 1992. He has also received his FINRA Series 6 & 63 registrations. A proud member of both NAHU (National Association of Health Underwriters) and NAIFA (National Association of Insurance and Financial Advisors), Jon has served on multiple Fortune 500 Agent Advisory Boards. Jon resides in Whitefish Bay with his wife, Anne and their 3 children: Jack, Ellen, and Julia. Kris Fjellman is an employee benefit advisor, with over 20 years of experience, who provides customized employee benefit packages to employers in southeastern Wisconsin. She also works with customers on life insurance, short term medical and Medicare supplements. As a licensed agent, Kris uses a broad spectrum of individual and employer-based products, and aligns herself with highly rated insurance companies. 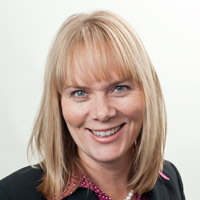 Her personalized approach begins with understanding each of her client’s unique business or individual needs. Then, she develops a strategy that best fits her client. Kris works hard on behalf of every client, to find the right coverage, answers any questions and resolve any issues which may arise. When working with Kris and her team at Cyganiak Planning, you can rest assure they will facilitate superior, ongoing service as part of each and every benefit package. As a Wisconsin native, Kris grew up in the Pewaukee area, graduated from Arrowhead High School in Hartland and resides in Pewaukee. Kris earned her Bachelors Degree in Business Administration from Sam Houston State University in Huntsville, TX. Kris spends her free time with her husband, John, and two children, Ella and Derek. She also enjoys playing tennis, biking, skiing, reading, traveling and rooting for her kids from the sidelines. Stephen Flewellen has been a licensed health and life insurance agent at Cyganiak Planning for over fourteen years. He is constantly educating himself on the ins and outs of products introduced in the ever-evolving marketplace. Steve’s goal is simple… to consistently discover new ways to offer less risk to his clients at a fraction of the cost while maintaining a high caliber of ongoing service. At a time when costs are skyrocketing, Steve works even harder to save his clients money on their premiums and improve benefits for their employees. He prides himself in using a consulting style to break down each aspect of benefit packages to make sure his clients know exactly what they are getting. Then, he puts himself in his clients’ shoes to make his no-nonsense recommendations for their benefit packages. By using his distinct and creative approach, Steve always finds the solution to each problem that arises. Steve specializes in producing cost-saving strategies paired with reimbursement and H.S.A. type insurance programs. Originally from Florida, Steve attended Concordia University Wisconsin where he received his Bachelor’s Degree in Organizational Communications. After college, he met the love of his life, Casey, and started a family with her. Steve lives in Wauwatosa with his wife and three sons, Callum, Finnley, and Gavin. John moved to the Milwaukee area after graduating from UW-Stevens Point. Employee benefits has been a good fit for someone who started after college as a high school teacher and coach. John enjoys the group interaction that comes with advising employers and counseling employees. He has furthered his education by obtaining designations in advanced areas of insurance and finance. John and his wife, Cynthia, have two grown children, including son Eric (also at Cyganiak Planning), and six grandsons.